There is a set of core values in these subsidiaries that is reflected in the people and their work product, and I look forward to leading our future growth. 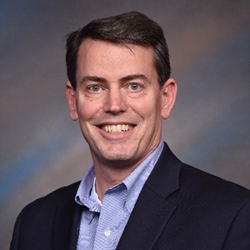 US HealthConnect Inc. announced today that Rob Braun has joined its executive leadership team as President of the US HealthConnect Inc. group of CME companies: Omnia Education, Prova Education, ACCME-accredited TOPEC, and AGILE. Braun is responsible for all CME subsidiary strategy, leadership, and operations. "This is a pivotal moment in our organization's historic expansion," said Frank Russomano, President & CEO of US HealthConnect Inc. "Rob will continue to lead that growth, leveraging his decades of experience in healthcare education, digital strategies, innovation, and business leadership." Braun previously held senior-level positions at Medscape, WebMD, Advanstar, and other healthcare education organizations. He reports to Russomano and is located in the corporate headquarters of US HealthConnect in Fort Washington PA.